Play! Web Games Highscores Software In Progress Blogs CommunityNew! 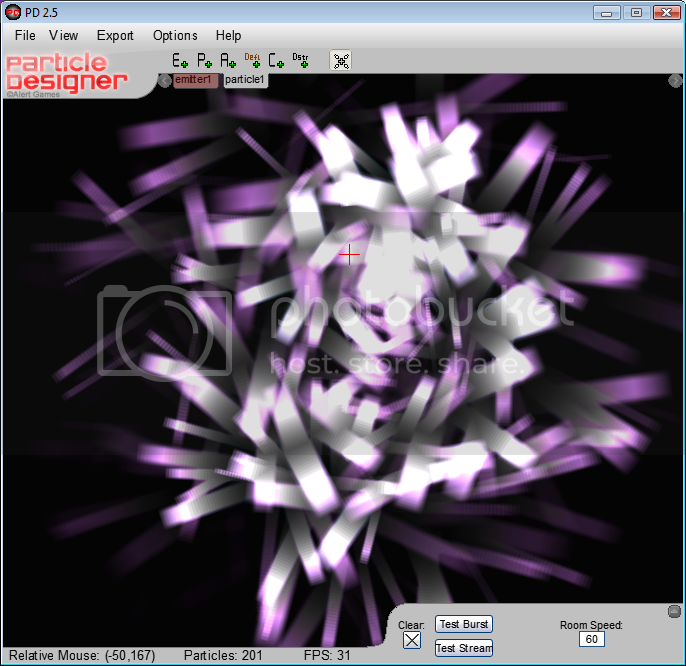 As an addition to Particle Designer 1.2, version 2 has a huge amount of updates. This program allows you to create 3 particles at once with all of the functions available in GM6+, but it also allows you to create emitters, attractors, changers, deflectors, and destroyers as well. 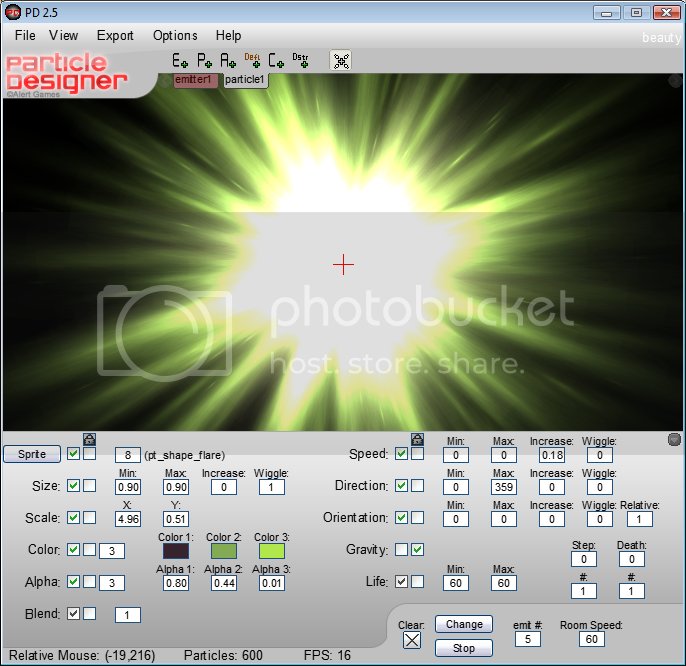 With its easy interface and random generating particles, you will be able to create particle effects and particle systems quickly! You can export the entire system to GML to use in your game, or take screenshots and animated GIFs. This program doesn't even need to be used for games, it makes nice looking effects for anything! Any donations are much appreciated for this free, four year+ on-going project. Credit: Credit is not required for anything generated, but you may put credit for "Alert Games" if you want. Website design and template, and all content ©2006-2019 Mark D. Palnau.